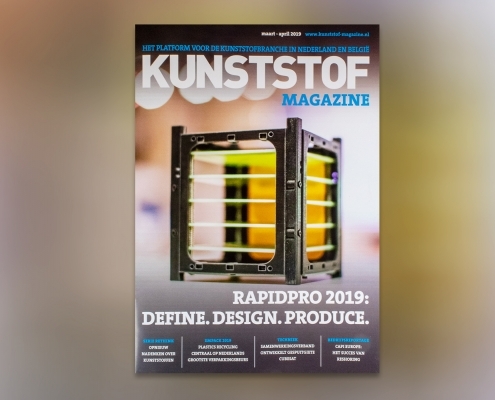 The latest edition of Kunststof Magazine features a great article on the injection moulded CubeSat that was developed in close cooperation with Promolding B.V.
A durable and low-cost Cube-Sat structure was developed. 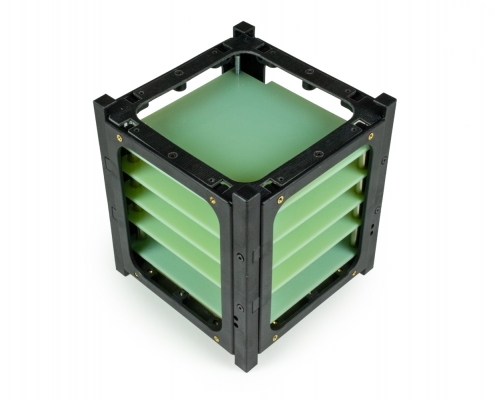 In the presence of Her Majesty Queen Maxima the CubeSat obtained great interest. 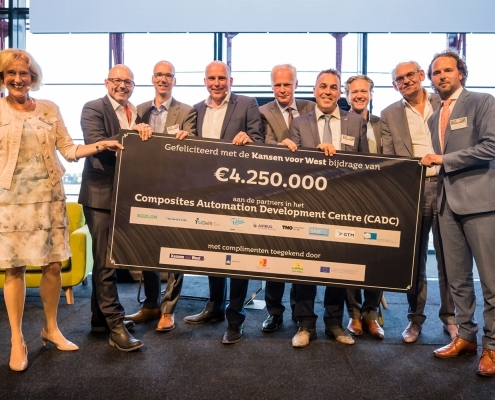 The cooperative association Kansen voor West contributes 4.25 million euros in GTM and its 7 other CADC-project partners for the automation and digitization of the composite manufacturing industry. The 'Technology Park Ypenburg' has been officially kicked off. 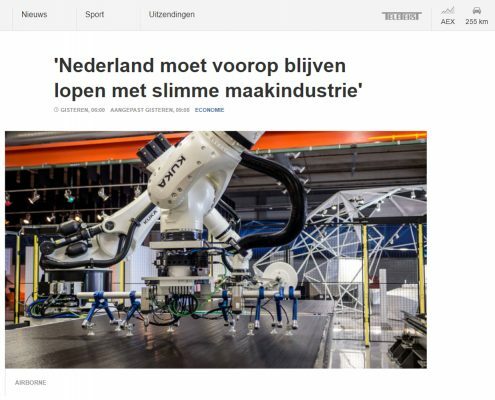 In this program four companies, including GTM, together with the municipality of The Hague will jointly invest 1.6 million euros in automated and digitized production of advanced materials. 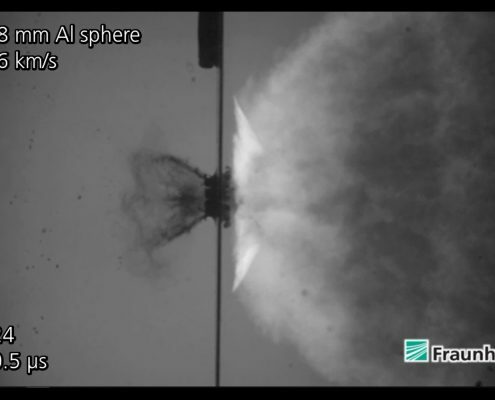 Andreas Tesch and Benoit Bonvoisin (ESA) discuss the results of the hypervelocity impact tests on fiber metal laminates produced by GTM. 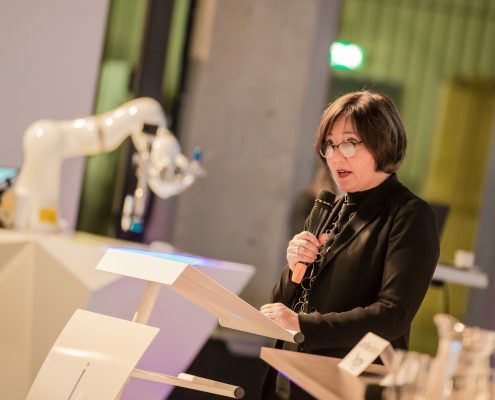 The Dutch government underlines the importance of the smart industry for the Netherlands by announcing a financial support for the area Rotterdam-Den Haag. 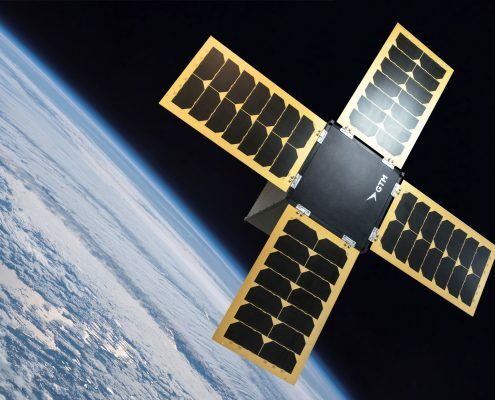 GTM has joined forces with Hyperion Technologies to develop and realize a spacecraft bus for a high performance 12U CubeSat. 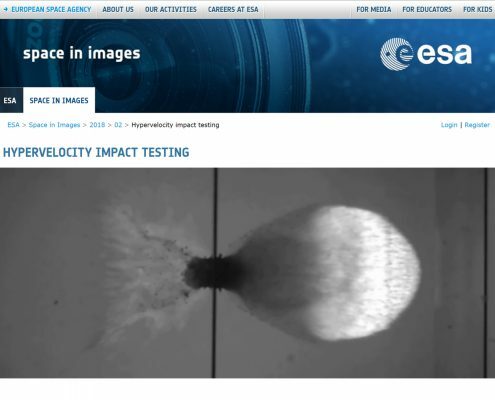 As part of ESA's GSTP program newly developed Space FML's are succesfully tested on high velocity impact (HVI) resistance by Frauenhofer institute. 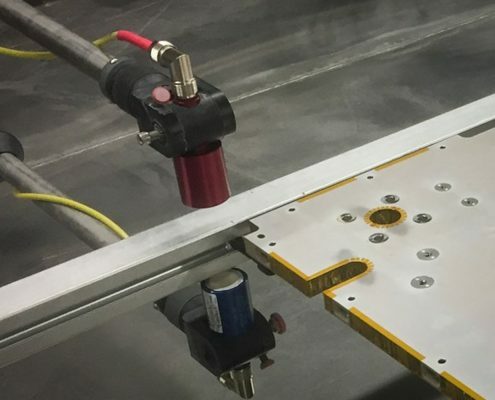 This new asset enables us to inspect structural panels for spacecraft applications. 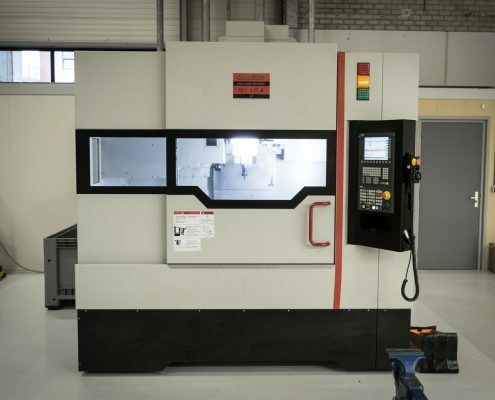 By acquiring the Quaser MV 184 P we can meet the high aerospace standards in machining and measurement.